Buried treasure in Rhode Island consists of pirate lost treasure, revolutionary war caches, and personal buried treasure. You can locate these treasures. People from all walks of life have located treasures of all kinds. However, if you want to enhance your chances of locating one, there are two things you need to do. First, do more research. Take the information I have given to you in this article and expand your knowledge of the story. Search out as much information as you can by using the Internet, historical societies, and the archives. There is an old saying, “knowledge is power.” The more information you have about a treasure, the better your chances of locating one. Second, you need a metal detector. If you do not own one but you want to purchase a detector, do not spend a lot of money. 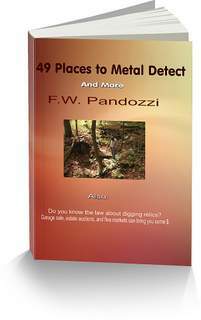 A good, new metal detector can be purchased for between $350 - $450. You don’t need a detector with all of the bells and whistles either. Those are for the more advanced user. If you purchase a less expensive model, and then read the owners manual, as well as practice using it, you will find your fair share of goodies. Here are five areas to begin your search for treasure. On Hope Island, a fisherman in 1923 located hundreds of gold and silver Spanish coins from the 1700’s. More treasures may be lying in wait. Hope Island is located near the west side of Prudence Island in Narragansett Bay. Along the beaches of Point Judith, artifacts from old ship wrecks have been discovered. 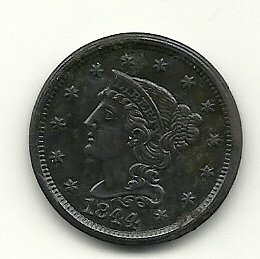 The possibility of Spanish coins may also be there. Point Judith is located near the mouth of Narrangansett Bay. Sandy Point, on the northern end of Block Island, has been known to turn over old coins and relics. Hog Island - Located on Conanicut Island. The famous pirate Captain William Kidd may have buried a treasure on this Island. Pirate's Cave - Also located on Conanicut Island. Again, the pirate Captain Kidd may have buried a treasure here. Visit my store and see what great deals there are on metal detectors, accessories, and much more. For more information on how to research buried treasure, visit my research page here. Good luck! And have fun in your search for buried treasure in Rhode Island. Anytime you are going on to private property be sure to ask for permission. If you are going on to State or Federal lands to search you should know the laws of that State. Buried treasure in Rhode Island may be located in ghost towns.